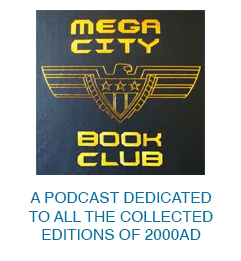 I’ve been a huge fan of Ron’s work – mostly his 2000AD Dredd. He will be missed by a lot of people. Very sad news. Ron Smith was not my favourite artist but re-reading his stuff recently has blown me away as to what a workhorse and legend he truly was in spite of my ignorance. He was one of those rare artists who could do funny and serious in the same strip and Ron was around at a time when the comic needed a man like that. A mate of mine has just died suddenly too so I’ll be raising two glasses tonight. Mr Smith, you can rest easy knowing your work will live on as iconic. I have a rare Ron Smith audio interview from 1995. 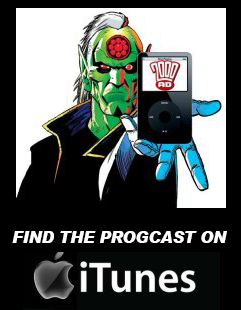 Ron talks about the Dredd film and the Lawman of the Future comic. I can upload the file. Ron Smith was one of the all time 2000AD greats. 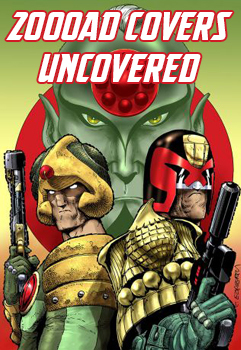 He drew so many classic Judge Dredd stories and Daily Star shorts. 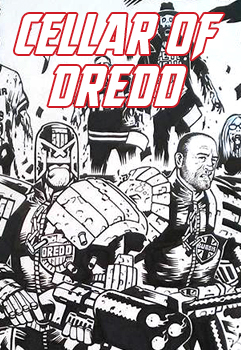 Iconic Dredd artist. RiP Ron Smith. Thank you for all your great artwork. One of the greats; I guess his alarm clock finally rang.